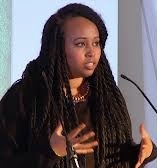 Few people in that highly literate, Shakespeare-loving audience had ever heard of the poet – a young British-Somali woman, Warsan Shire. Two years earlier – aged 24 – she had won an award as the first Young Poet Laureate for London. She was a child of two when her family arrived in Britain, fleeing a civil war, so she was too young to remember it but close enough to feel an empathy for people fleeing other wars. The poem from which those lines were taken was written after she had listened to the stories of a group of asylum seekers living rough in Rome. English is her effective first language, but she knows Somali and is heir to an extraordinary poetic tradition. My route to learning about it came through meeting Somali refugees in the English classes I was organising. Listening to their stories inspired me to try to share through fiction what it was like being an asylum seeker in London, and to get into their minds I needed to learn about the society they had grown up in. Immersion? But no way to get there – war made that impossible. So I sought help from the professor of Somali at SOAS, the School of Oriental and African Studies in London. Professor B.W. 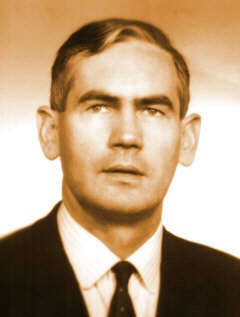 Andrzejewski – Goosh to all who knew him – was Polish, and how he got to be a Somali specialist is a story in itself. My Somali friends regarded him as a phenomenon – someone who spoke their language perfectly, they said – ‘If you hear him without seeing him you couldn’t believe he’s not a Somali.’ He had had his own experience of fleeing from a war for when he was seventeen and at school in Warsaw, the Nazis invaded. Somehow, he escaped through the siege and joined the Free Polish Forces abroad. His training took place in Palestine, where his extraordinary facility with languages first became evident – he learnt Arabic and Hebrew alongside English. As he also knew German, he was given a job as an interpreter accompanying prisoners of war who were being moved from one place to another. After the war he put himself through university entrance exams, and studied English literature at Oxford and linguistics at SOAS. The British government were administering British Somaliland, and wanted to find a linguist to work alongside a Somali scholar to develop a script for the language, which had so far never had an agreed one. So Goosh was sent to do a linguistic analysis of a language he had yet to learn. It was through his colleague, Musa Galaal, that he began to realise how important poetry was in Somali society. Goosh would later describe how he would ask Musa for an example of how a particular word was used in different contexts, and the examples Musa gave were always quotations from poetry. His mind carried a vast store of poems – memorised simply from listening to them being recited. Goosh, himself by now an accomplished poet in Polish, became fascinated by this indication of the place of poetry in Somali life. The rest of his life was devoted to studying the language and its poetry. 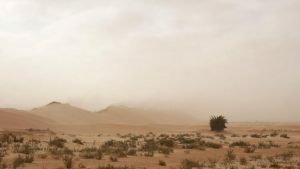 The country is mostly semi-desert, and for centuries camel-herding has been how most families survived, with little need to read and write. 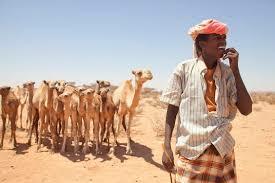 But Somalis are great orators, and many know by heart a wealth of poetry. Some had learnt to read Arabic through reciting the Quran; a small minority had gone to schools where they learnt to read the languages of the colonial powers who had divided the country – Italian in the south, English in the north, Amharic in the west, French around the port of Djibuti. But they all shared their spoken language and a deep appreciation of its poetry. To us who have always relied on the written word it is astonishing to discover that generations of illiterate camel herders have memorised long, complex poems. 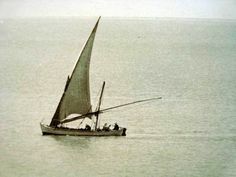 There are poems still in circulation by Raage Ugaas that were composed about a hundred and forty years ago; versions have been collected in many different parts of Somalia, and there is almost no variation between them. Someone who memorises a poem has an important role as culture-carrier, and is expected to get it 100% correct. There’s a deep respect for the actual words chosen by the poet – each carrying verbal richness beyond the basic sense – in subtle word play, images with double meanings, metaphors reflecting cultural references. not shaking hips and showing off. It’s not some itch or an insomnia. the hand that wards off danger. to let you know that we live through language. no making of maps, no naming of nations. carry my lines through the noonday sky. crowd the waterhole, eager for rumours. talk tough as they sniff out the latest news. with a tap and a touch. Clouds compose poems as only they can. is something that only the rain can explain. That people remain so adept at memorising poems they have heard also has advantages if you live under a dictatorial regime. The poet Hadraawi spent five years in prison because of his poetry’s outspoken references to the then dictator, Siyaad Barre. When he was released, he continued composing poems without committing them to writing. They were recited in secret, memorised, and passed on – to circulate, unstoppably. Alerted by what I was learning from Goosh, I started asking my Somali friends in London about all this. They had never mentioned that their heads were full of poems – but why would they bother to tell someone who didn’t know the language? They found my questions mildly perplexing – Why wouldn’t we love poetry? Surely everyone does? Nor did they have any feeling that by fleeing Somalia they were now cut off from their poetic roots. They are historically a nomadic people, and poetry travels with them. Those in exile were composing poems about what they were experiencing, and sharing them with others who had landed up in other countries. And it was still oral poetry – they recorded poems onto cassettes and posted them to each other. The deeper I got into my novel, the clearer it became that poetry was going to have to be part of it. or food crackling in the frying .. I have no forts, no houses. I have no cultivated fields, no silver or gold for you to take. and my country is of no good to you. If you want wood and stone, you can get them in plenty. There are also many ant-heaps. All you can get from me is war. summoning a thousand men to my aid? And where terror dwells, are not all men the same? That commonality was at the heart of my story. Goosh entered into the spirit of my attempt to weave these sources of what you might call ‘deep culture’ into my fictional story, as a way of evoking things I had never been part of. A busy man and a tired one – he already had cancer – he generously read each stage of the book in draft, and commented in detail on anything that reflected the Somali context. His support was invaluable in helping me feel confident about sending the book out into the world. Of the many responses I’ve had from readers, one that touched me most was from someone who worked in a refugee support organisation in London. We didn’t meet until after the book was written. He is from Eritrea, a neighbouring country to Somalia, and also one which has experienced war from which people have fled. He wrote, ‘To write a book as lively as this, with a powerful and detailed message, requires a lot of courage, mental strength, commitment – and above all the wisdom to understand and reflect the heartbeat of the disadvantaged.’ What touched me most is that these are all qualities that he needed to do the work he did. That I too had been able to feel inside that heartbeat, I owed to the many people who talked to me during the writing – but also to the poetry that Goosh had opened up to me. A couple of years after A Shield of Coolest Air was published, I started work with Save the Children. One of the first places they needed me to go to was Somalia. Finally I was going to get there, but the prospect loomed dangerously – the country was still in the throes of civil war. As part of preparing myself, I went to talk to Goosh. This was the last time I would see him. He talked calmly about knowlng that he had not long to live. It was like being in the doctor’s waiting room, he said, waiting to be called. I told him that even Somali refugees in my classes had heard about the excellence of his Somali (‘That man knows more poetry than we do,’ one said.) He smiled and said it was simply that so few outsiders had ever learnt the language, so for Somalis hearing him it was a bit like hearing a cat speak. He took a book off his shelf to give me, one he had edited on African literatures – Keep it, he said – I had the feeling he was looking for good homes for bits of his past. I said I’d like to learn some basic Somali language – could he suggest someone who could teach me? And so, a couple of weeks later, I was back in SOAS having my first lesson with Martin Orwin, who had taken over his role. Another extraordinary linguist, Martin had learnt four European languages before moving on to Arabic, then Amharic, and then Somali. Once a week for six weeks I had a lesson with him, and spent an hour each morning before going to work practising. I have dabbled in a number of languages, in most cases not getting much further than Unit 3, ‘Asking the way’, but Somali is without question the most difficult. It has grammatical concepts unknown in European languages, and in its vocabulary there were no points in common with any other language I have encountered. But I thought I was getting somewhere until I arrived in Mogadishu, when everything I had learnt unaccountably vanished from my head. I thought of all the Somalis to whom I have taught English, people who were having to make this linguistic transition in reverse. 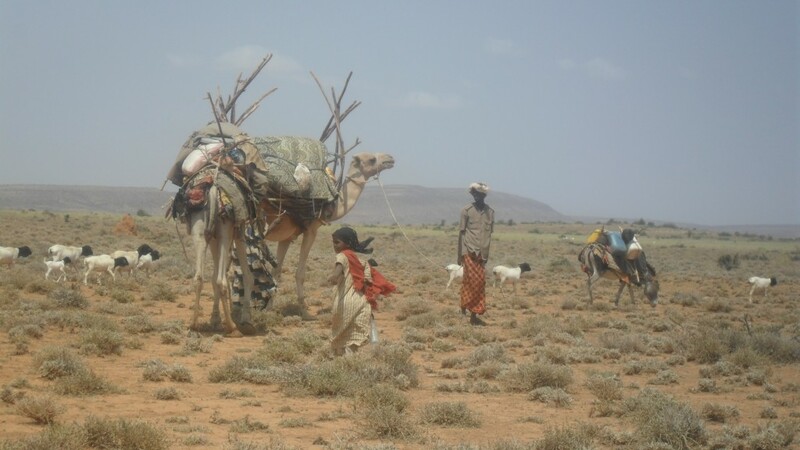 I was amazed at the speed with which they had become able to communicate; and I thought also, in humility, of generations of camel herders who had never learnt to read and write but were capable of memorising long complex poems from one hearing. Since then, with Martin’s help, I have been introduced to some contemporary poets, and have learnt more about the strict technical requirements of Somali poetry. The lines are typically long and sonorous, with fixed metres. It’s beautiful to hear it recited according to tradition, with the last syllable of each line a long-drawn-out nasal sound. Where English poetry has traditionally used rhyme, Somali poetry uses alliteration – in every line there must be at least one word beginning with a particular letter which the poet has selected for that poem. So, a poem may be described as being ‘in D’ – each line needing a word beginning with the sound ‘d’, and a different one in each line, which in very long poems is quite daunting. To take it one step further, there are ‘chain’ poems. A poet will begin – in C, for instance – and then another poet will take up the challenge and continue the poem, still with a C word in every line. As more poets take a turn, it gets harder to find new ways to keep the alliteration going. These formal poetic features are in themselves a pleasure to listeners, but they are also what make poems memorable, and have helped keep them in oral memory. One of the poets Martin has worked with and translated is Gaarriye, author of the ‘A to Z’ poem. He died a few years ago, having lived most of his life in Hargeisa. When it was bombed in 1988 hundreds of thousands had to flee to refugee camps across the border in Ethiopia – a story similar to what has been happening in recent years in Syria. Gaarriye was already in exile there as part of the Somali National Movement, an armed group opposing the dictatorship; but four years later he was back in Hargeisa, helping to rebuild. It is now the capital of the independent republic of Somaliland, the northern section of the country, which has recovered from the war in a way that Mogadishu and the south sadly never have. Gaarriye helped set up the new Hargeisa University, and taught an immensely popular course in Somali literature. It’s an indication of how poetry is valued that the course was compulsory for all students. Imagine that in a British university – all first year students, whatever their subject, have to do a course on poetry, because it’s considered an indispensable part of their education. He’s cursed – no milk. The reason? International delegates are arriving in the city for a conference – on ‘The Year of the Child’. you will not lose your way on the road that you must follow. God who fills our waterponds will not make you thirst. the great-boughed tree that will protect and shade. Gaarriye’s full name is Mahamed Hashi Dhama. Shoeshine boy was translated by Martin Orwin. A to Z was translated using Martin Orwin’s literal translation, and finalised by the English poet David Harsent working with the Poetry Translation Centre. Hadraawi’s full name is Mohamed Ibraahim Warsame. The extract here is from the poem, Life’s Essence, in a translation by Said Jama Hussein and the English poet W N Herbert. Translations from older poets are mostly from A Tree for Poverty, by Margaret Laurence, based on literal translations by Goosh Andrzejewski. I have no forts… & Now you depart … are by Sayyid Mohamed Abdille Hasan. Other poems quoted here are anonymous. Conversations about home by Warsan Shire is from her collection, Teaching my mother how to give birth. This blog is an expanded version of a talk given in Much Wenlock, Shropshire, in September 2017, as part of the 100 Thousand Poets for Change initiative. Thanks to Martin Orwin for helping me prepare for it; to Anna Dreda, founder of the Wenlock Poetry Festival, for picking up the idea of having an event in Wenlock; to Paul Francis who organised it, the Shropshire poets who took part, and Angela Piddock through whom I first met them. What a beautiful piece to read just as dawn is breaking here in the U.K. ‘Language gives meaning to action,’ something that always helped me in my work as a psychotherapist. Thankyou for telling us about the place of poetry amongst Somalians and for sharing your journey of discovery. This is beautiful — and the language and symbolism is striking. I love it. Thank you. Marion, Your blog is also a poem: you’re sharing your life through it. I read, and I’m not only closer to a new world to me of Somali poetry but to the inner chambers of your creative life. It’s a sort of 4-D experience – exploring your inspiration like a pyramid: time-space-echoes-beauty. Thank you for introducing me to some moving, insightful and deeply felt poetry…and for reminding me that once the words are safely in your head, no-one can take them away! 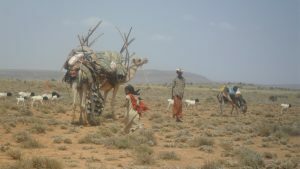 Marion, your commitment to the subjects of your writing shines through this wonderful blog about Somali poetry and how the learning about it and its place in the life of Nomadic Somalia informed A shield of Coolest Air. That was perhaps the first book of yours which I read so many years ago. And you have brought it alive again in this blog. I am so moved by the sheer depth of your commitment. Thank you so much for sharing this. I am forwarding it on to my sister who I am sure will enjoy reading it. She borrowed my copy of ‘Uncertain Light’and finished in a week! 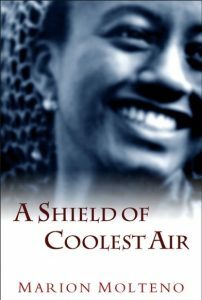 We are now revisiting ‘Shield of Coolest Air’.